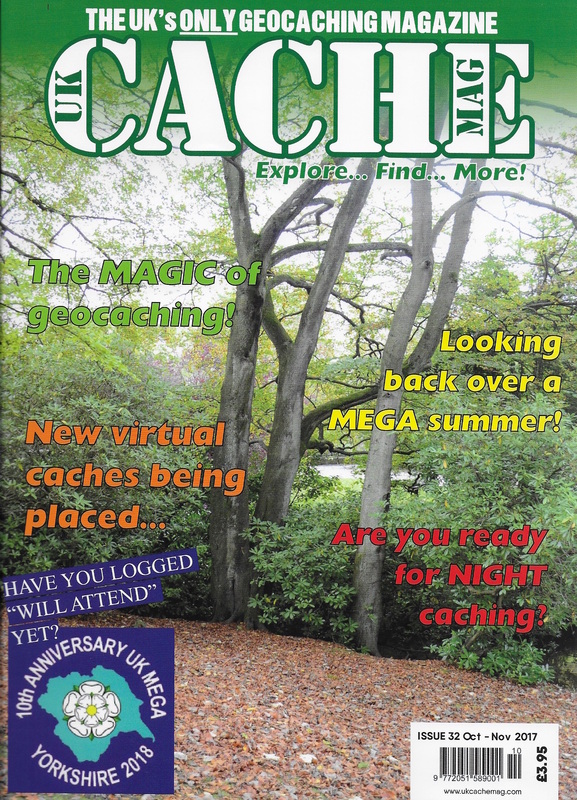 The latest issue of the UK Cache Mag has just landed on our doorstep and is full of content both looking back at the geocaching summer and forward to what the hobby holds in the coming winter months. The Out and About section once again takes us to interesting caches all over the British Isles and there are features on Night Caching, Tools of The Trade, Virtual Caches and much more. Even Peel Cathedral gets a mention in the article on Church Micros, the series that celebrates its 10 birthday on the 7th November. It might be a bit scary! 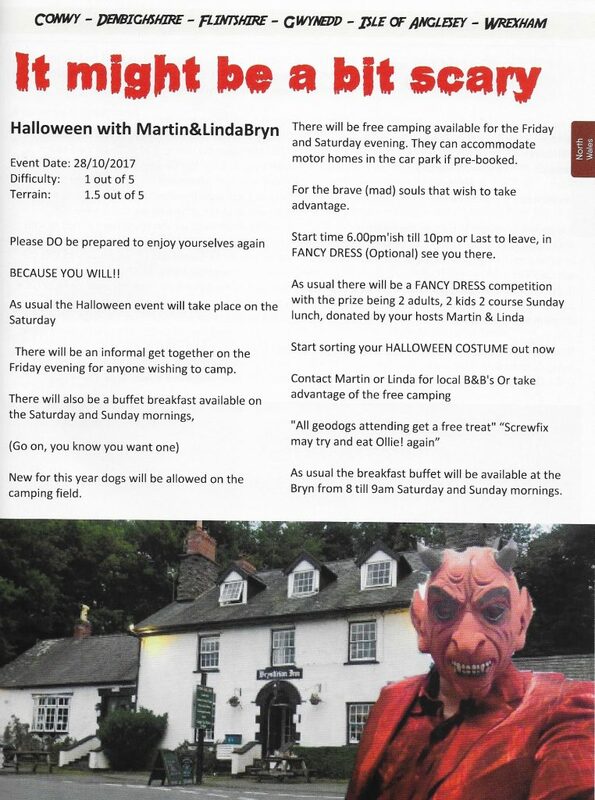 We are pleased that, in the section on North Wales, the Halloween event at the Brynition Inn in Llandderfel gets a full page article. We have stayed at ‘The Bryn” for several Halloween events and always had a great time. The geocaches in that area are also special and well worth finding as many are inventive to say the least. Geocaching, Mega events geocaching, Megaevents. permalink.